Thai style corn fritters are easy to make and a refreshing alternative to regular vegetable fritters which are run of the mill and tend to get a bit boring. 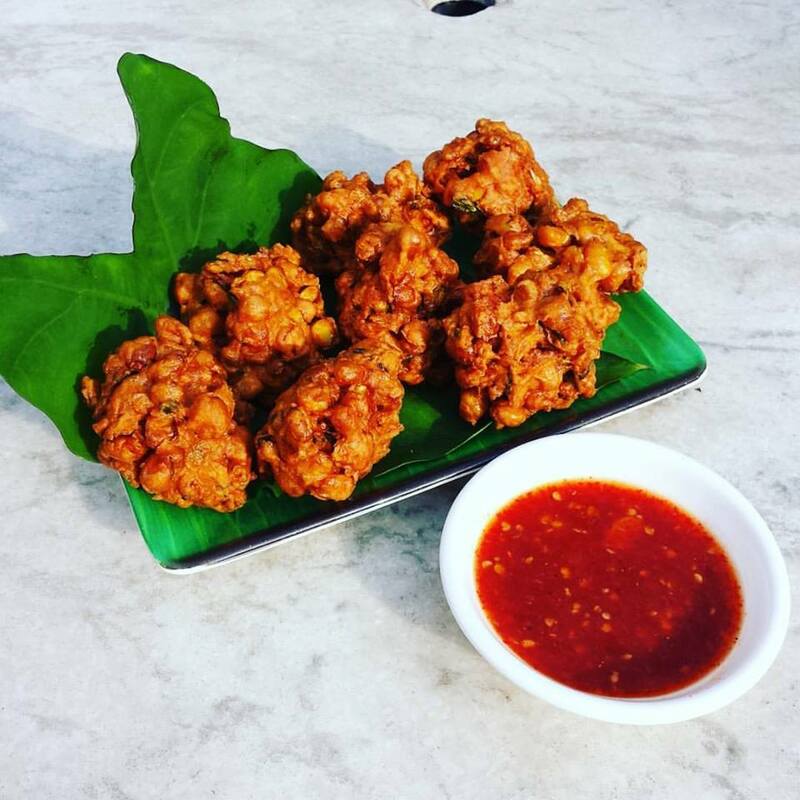 Being a die hard meat lover, I have to constantly struggle to make tasty snacks for my vegetarian friends but this spicy corn fritter is crunchy on the outside and spicy on the inside and when eaten with the delicious sweet chili sauce is always a crowd pleaser ! Enjoy and Happy Cooking ~ Kamakshi ! In a mixing bowl, add all the ingredients (except the oil) and mix well. Heat oil in a pan on medium heat. Working in batches, drop tablespoons of batter in the oil and cook for 4-5 mins until golden brown. Remove from oil and drain on paper towels to remove excess oil. 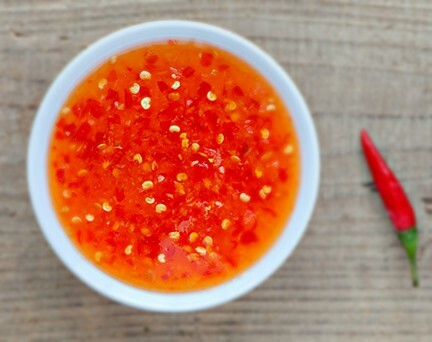 The Thai sweet chili sauce is known as Nam Chim Kai in Thailand . It is easily available in in bottles in most Asian food stores, but the recipe is so simple that you can easily make it at home. Much healthier version with no preservatives added. Thai sweet chili sauce makes a superb condiment for many Thai dishes and is excellent with chicken and fish as well as seafood. It is also wonderful as a marinade for grilling or as a dip for finger foods. It goes amazingly well with Thai style corn fritters, as seen below. Add all the ingredients except the cornstarch water mixture into a pan and bring it to a boil.Reduce the heat and let it cook for 5-6 mins till it reduces to half. Add the corn starch and water mixture and cook till the sauce thickens. Remove from heat and do a taste test. The sauce should be sweet, sour and spicy. Adjust seasoning as per your taste. Serve as a dipping sauce with spring rolls, fritters, wantons and a host of other appetizers.